In a new report ‘Asset & Wealth Management Revolution: Embracing Exponential Change’, PwC anticipates that global Assets under Management (AuM) will almost double in size by 2025, from US$84.9 trillion in 2016 to US$111.2 trillion by 2020, and then again to US$145.4 trillion by 2025. While the report predicts rapid growth for the asset & wealth management industry, it also warns that firms needs to take action now, if they’re to survive an exponential level of change. By 2025, AuM will have almost doubled – rising by 6.2% a year, from US$84.9 trillion in 2016 to US$145.4 trillion in 2025, with the fastest growth seen in the developing markets of Latin America and Asia Pacific. Alternative asset classes – in particular, real assets, private equity and private debt – will more than double in size, reaching $21.1 trillion by 2025, accounting for 15% of global AuM. There is a ‘great divide’ between asset and wealth managers who have acted to ensure they are fit for growth, and those who have not. The industry’s involvement in niche areas such as trade finance, peer-to-peer lending and infrastructure will dramatically increase. The burgeoning wealth of high-net worth individuals and the mass affluent, as well as a pronounced shift to defined contribution retirement saving, are propelling huge growth in the Asset & Wealth Management industry. Retail (mutual) funds (including ETFs) will almost double assets by 2025 and institutional mandates will expand similarly. Alternative asset classes – in particular, real assets, private equity and private debt – will more than double in size, as investors diversify to reduce volatility and achieve specific outcomes. The industry is set to manage a greater share of global retirement and pension funds too. If current growth is sustained, the industry’s penetration rate (managed assets, as a proportion of total assets) will expand from 39.6% in 2016 to 42.1% by 2025. PwC anticipates assets growing at 5.7% a year in North America from 2016 to 2020, slowing to 4.0% per annum from 2020 to 2025, lifting assets from US$46.9 trillion to US$71.2 trillion over the nine years. Similarly, Europe is projected to grow at 8.4% and 3.4% per annum respectively over the two periods, with assets rising from US$21.9 trillion to US$35.7 trillion. Developing Asia-Pacific’s dynamism is set to spur growth of 8.7% a year from 2016 to 2020, accelerating to 11.8% from 2020 to 2025. This will lift regional assets from US$12.1 trillion to US$29.6 trillion. Latin America is likely to grow at similarly rapid rates of 7.5% per annum from 2016 to 2020, accelerating to 10.4% a year from 2020 to 2025. From a low base of US$3.3 trillion, the region’s assets are projected to increase to US$7.3 trillion. Active, passive and alternative strategies are becoming building blocks for multi-asset, outcome-based solutions. In this context, demand for passive and alternative strategies will grow, but the place for active management will remain. PwC forecasts that funds under active management will climb from US$60.6 trillion in 2016 to US$87.6 trillion by 2025, but their share of overall global assets under management will decrease from 71% in 2016 to 60% by 2025. Passives will gain huge market share, rising from 17% of AuM in 2016 to 25% in 2025, while alternatives rise from 12% to 15%. Passives’ AuM will more than double, from US$14.2 trillion to US$36.6 trillion; alternatives from US$10.1 trillion to US$21.1 trillion. Asset and wealth managers have been filling the financing gaps resulting from the global financial crisis. PwC predicts that their involvement in niches such as trade finance, peer-to-peer lending and infrastructure will dramatically increase. Helping individuals to save for old age, as governments step back, is also a new opportunity to achieve profitable growth. All over the world, governments are relying on individual retirement accounts and defined contribution plans to help people save for retirement. Expansion in these assets as the world population builds wealth and life expectancy rises is one of the main forces driving PwC’s optimistic forecasts for growth in assets under management. Investment firms will provide capital in areas such as trade finance and peer-to-peer lending. They will be more active in all aspects of syndicated lending activities traditionally undertaken by banks, e.g. arranging a syndicate of investors for large infrastructure projects. 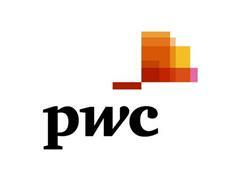 PwC anticipates soaring growth in real assets – mainly infrastructure and to a lesser extent real estate. Over the four years from 2016-2020, PwC forecasts a 27.5% per annum growth rate in infrastructure, slowing to 15% from 2020-2025. Infrastructure assets will expand more than fivefold, from US$0.6 trillion in 2016, to US$3.4 trillion in 2025. Asset managers need a keen eye for the technological developments that will be driving exponential change. Machine learning and AI are set to change the way research and portfolio management is conducted and Robotic Process Automation will revolutionise the back and middle office, while blockchain could have a profound impact on the services industry. They must design new products and services that meet changing needs. This vital social role is also one of the reasons why regulators around the world are making sure that fees are fair and advice is suitable. For our projections we use econometric modelling to obtain our baseline estimates. The AuM is used as the target variable (based on data from 2004 to 2016) and various macroeconomic indicators from the International Monetary Fund (IMF) are used as explanatory variables. We use proprietary statistical software to search among different possible models. We have tested multiple models in levels, in differences, in logs, with lags and without lags and have shortlisted those statistically significant models for each country. These models are further examined per country and the most economically plausible model is selected. Both the AuM as well as the explanatory factors from IMF entering our models are denominated in USD. When we conduct our analysis for the Asset and Wealth Management industry, we generally include an overlay related to exchange rate fluctuations in particular markets. We have also taken into account qualitative information and consulted subject matter experts to see possible factors that could affect the performance of our models.